6 Spin Street is a new restaurant in the centre of Cape Town. 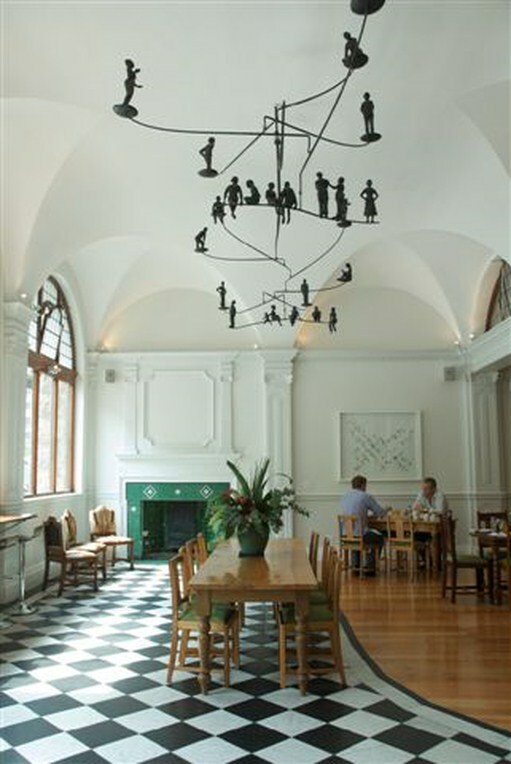 Located in the historic Sir Herbert Baker building overlooking Church Square, the restaurant shares the buildings unique, airy and magnificent ground floor with the Lobby Books book shop and Idasa’s Cape Town Democracy Centre. The restaurant is open on Monday to Friday from 8.30 in the morning until late at night and on Saturday from 6.00 on the evening. 6 Spin Street Restaurant is the ideal venue for a casual coffee while seated at our window bar counter, or a meeting over a meal at a discreet table. In addition to the a la carte menu 6 Spin Street Restaurant offers a Parliamentarian’s Lunch with choices that change daily: a starter and main course, coffee/tea and a glass of wine or alternative drink. At R150, the attraction of the Parliamentarian’s Lunch is further enhanced by our promise that you can enjoy a full meal and be ready to continue with your business after only 50 minutes. We call it A Quick Spin! A visit to us will give Spin a whole new meaning. We look forward to welcoming you.